IS IN THE HANDS OF THE OROMOO PUBLIC AND ABBAA GADAA. THE FUTURE OF WBO SHALL BE DECIDED AND IMPLEMENTED”. 1) The declaration set the OLF leadership free from the precarious dilemma of taking a stand on OLA disarmament. The obvious dilemma is that the leadership would alienate a significant number of WBO fighters and concerned Oromo nationalists if it dares to order the armed groups across Oromia to disarm and encamp. On the other hand, The OLF leadership’s endorsement of an armed resistance would trigger a direct confrontation with the Government. It can be interpreted by the ruling elite as a serious breach of its agreements with OLF as the condition for the group’s official return to the country. 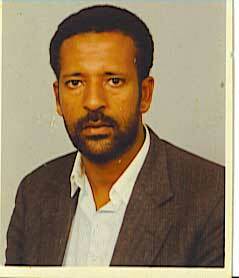 The declaration technically shifted the burden of solving the dilemma to the Oromo public and the “Abbaa Gadaa”s. Sadly, it seems this “bird” slipped through Dawud’s fingers: he unwisely yielded to pressures from multiple corners to “bless” the official launching of the disarmament process which is one of the dirtiest conspiracies ever plotted against the Oromo national struggle. He could have resisted attending the gathering on the grounds that he has already officially relinquished his presumed authority on the fate of WABO. 2) The declaration, at least theoretically, liberated WBO from its organizational accountability to the ABO leadership and set it free to independently decide on its destiny. 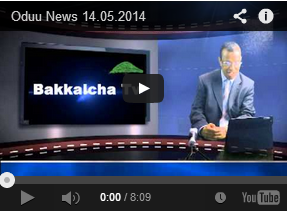 Henceforth, its accountability shifted to the Oromo public and “the Abbaa Gadaas”. One lingering question, however, is Do the current “Abbaa Gadaas” have authentic mandates to make decisions on behalf of the Oromo public? Does the Gadaa as an institution have a legitimate AUTHORITY to enforce its decisions or are the current Abbaa Gadaas “ordained” OPDO henchmen under instructions to advance Government agenda?? The already shaky credibility of the toothless “Abbaa Gadaas” sunk even deeper when the Government denied them a permission to visit the very WBO returnees they promised to watch and coach after submission. 3) The declaration, presumably, denied OPDO/EPRDF the moral grounds to pressure the OLF leadership to FORCE WABO- which now turned into WBO- to lay down its arms and willfully flock to the slaughter camps. 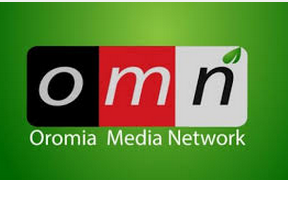 The Government was forced to divert its attention to lying to the Oromo public and exerting pressure on the “reconciliation Committee” through its paid moles planted in the committee as “technical” members. Lately, it seems the Government stepped over this hurdle and managed to extract an “order” from the chairman himself for WBO to disarm. This “bird” also managed to escape. 4 The declaration is an official recognition that WBO is the epitome of the legitimate Oromo national liberation struggle embraced and nurtured by the Oromo public. 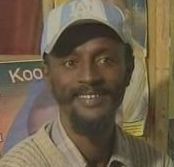 This spirit of the public ownership of the armed Oromo groups is strongly reflected on the “araaraa” gathering held in Finfinne although there also were some elements who tried to portray the heroic army as aimless bandits marauding across Oromia with intents of intimidating and robbing its own people. 5) The declaration pulled the rug from under the feet of those who love to hate ABO including from those other Oromo political factions currently entrenched in Finfinnee. It remotely defused time bombs of varying sizes OPDO, G-7, Oromo political groups, and other hostile elements hid under their armpits to throw at ABO leadership at times deemed most appropriate to inflict maximum damage. pertaining to the other Oromo political factions, each may claim strategic or tactical differences that distinguish it from the rest but, nowadays, the single most important common factor that binds them together is their passionate hostility towards the OLF group led by Obbo Dawud. They seem more eager to see the demise of OLF and its armed wing even more than the enemy currently waging an undeclared war against Oromummaa. OLF as an organization is far from perfection and Dawud as a person is not infallible. No doubt, countless unforgivable damages have been committed over the years by the OLF leadership at different times under different circumstances against the interests and core values of the Oromo liberation movement. Most of such ugly and heinous crimes are buried deep in many Oromo hearts and conscience. they are jealously guarded from exposure to the Oromo public knowledge not out of respect or sympathy for the traitors but mainly because it was erroneously believed that such exposures would ultimately hurt the movement by stirring huge storms among the supporters of the movement. In hindsight, this reasoning is flawed because the overall damage inflicted on the movement and the ultimate disunity as the consequence of Oromo public tolerance towards the internal traitors has probably costed the Oromo cause much more than the feared damage the timely exposures of their sinister sabotages could have caused. Thus, the overall weaknesses and splits within the Oromo movement can’t be totally blamed on internal traitors alone. The inaction of the members and that of the passive on-lookers have significantly contributed to the collective organizational disaster we now encounter. Today, the same traitors and internal enemies work with Neo-Neftenyas and embolden OPDO to dismantle the Oromo movement. The hidden filth shall one day see the day light and justice shall eventually prevail. However, at this critical juncture in the history of the struggle when the fate of the Oromo nation is on a delicate balance, the issue at hand is not lamenting about past blunders we can’t mend. The challenging critical issue is how to focus on the future and march forward hand-in-hands towards the ultimate goal of the struggle so many have sacrificed for so long. From What we witness these days, the overall mood of these Oromo factions doesn’t seem to reflect this wisdom of weighing the dangers confronting Oromumma against their passionate hatred for ABO. 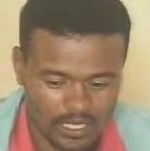 These seemingly independent offshoots of the Oromo national movement rushed back home not so much to advance their political agenda as to settle their accumulated bitterness towards ABO by destroying the armed national struggle in close collaboration with the captive surrogates on power. It seems they hate OLF and WBO much more than they love Oromummaa. These groups shamelessly chose silence when so much state terrorism against the Oromo is being waged by the regime under their close watch perhaps because their mouth and conscience are zipped by the free food and lodging they get from OPDO. In the process of their unworthy pursuits to cripple their targeted foe, some, in fact, seem to have destroyed in a matter of few weeks whatever degree of credibility they built over the years. The declaration literally left them in the cold in that they are now confronted with a choice between supporting WBO as the ultimate hope upon which the future of Oromummaa depends or rallying behind the enemy force which is currently engaged in open acts of genocide against the Oromo nation. Thus far, their choice seems crystal clear. 6) The declaration re-ignited the decades old debate as to whether armed struggle is the detrimental component of Oromo national liberation movement or a peaceful struggle for the democratization of Ethiopia is the more viable option. This is the single most critical strategic issue that defines the rift between the pro-independence Oromo nationalist camp and the “Ethiopianist” Oromo camp that envisions a democratic Ethiopia in which all nations and nationalities hug each other and live in harmony under one flag. 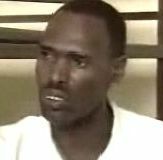 If Obbo Dawud”s last plea to WBO to disarm and capitulate to the enemy amounts to a retraction of his previous declaration and is understood as a renouncement of the need for armed struggle, that would, in effect, mean that at least some in the ABO leadership join their former adversaries as an “Ethiopianist” entity. IF- and it is only “IF”- that is the case, the Oromo national movement is destined to undergo some painful processes of reconfigurations and profound re-alignments. Ultimately, ABO as a political group shall inevitably split into those who want to capitulate to and blend with hostile forces who vehemently oppose Oromo self determination in favor of “Ethiopiawinet” and those who remain loyal to the liberation of Oromia and join hands with WBO and non-ABO nationalist elements to form a larger and stronger movement. There already are flashing signals hinting at such a split within the OLF leadership. It seems there is no room for ambiguity: those who fall for the treacheries of the Amhara-dominated OPDO and believe any degree of Oromo liberation is attainable through peaceful means will eventually merge with OPDO and swim against the tides. Those who believe current conditions are not ripe for a peaceful struggle and wish to stand with a WBO will consolidate their camp and intensify the struggle at whatever costs. The third convenient option, of course, is opportunism in its varying manifestations. 7) The declaration may have been intended to absolve OLF leadership from historical accountability in the events that OPDO lulls WBO into submission and annihilates it. 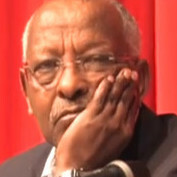 Obbo Dawud seems to have learned his lessons from the short-sighted and naive decision in 1991 by Lenco in consultation with Meles and Esaias to encamp WABO which resulted in the massacre of tens of thousands of gallant Oromo fighters and the dispersal of hundreds of thousands of Oromo nationals as refugees. 8) The declaration snatched WBO away from the radar of ABO with all its merits and follies and rendered it with an opportunity to be owned and embraced by the members of the much larger Oromo nationalist community irrespective of their past affiliations. It elevated WBO to a new height that transcends artificial barriers based on region, religion, past political group affiliations, and other divides which weakened the movement so far. It uplifted Oromo self-awareness, enhanced national self-confidence and shed more light on the depth and width of OROMUMMAA. 9) The declaration silenced the foul-mouthed FB vigilantes who love to demonize ABO as a group, Wallaggaa as a region, and Dawud as a person. By cutting the umbilical cord between ABO and WABO, the declaration denied the hooligan kids hired by OPDO and monitored by the ATM the easy targets they love to tarnish. They now have to either revise their strategy of assaulting the nationalist camp per se, or invent a new target. Evidently, these “birds” hit by Dawud are not necessarily dead-some are in limbo. Some more “birds” may have eluded my attention. Whatever the outcome is, the very maneuver Dawud dared to venture, in itself, is a welcome gesture that reflected a symbolic departure from the familiar habits of OLF decision making process. One interesting question is what would WBO do if ABO reneges on its decision and attempts to fold WBO back to WABO?? What if ABO decides to disclaim armed struggle as a strategy and formally join OPDO?? (i am aware OLF renounced armed struggle in exchange for a license to legally go back home and I have keenly followed up on what transpired since). a) The Fifinnee question is the hottest current issue that is boiling emotion among the Oromo and the Neo-nefxenya camps. Is it a genuine Oromo national flare-up or is it being deliberately harped by some interest groups with the hidden intents (1) to cover up OPDO agents’ FAILURE to encamp WBO (2)to draw public attention away from the intense OPDO preparation for all-out war against the Oromo, and (3) to engage Qeerroo/Qarree on old and PATIAL demands of the Oromo to buy time for the Neo-Neftenyaas to refine their grand project of owning Finfinnee?? b) What exactly is Jawar up to? What is his hidden ultimate personal agenda and how do the unpredictable sharp twists in the courses he takes fit into this jealously guarded grand agenda? c) Is it fair to suspect, as I do, that the danger the Amhara movement poses to Oromummaa is much more deadly than most of us are willing to admit? How many of us recognize that the tentacles of the Grand Amhara Movement is larger than we think and is deepening its roots in Oromia by enlisting the overt and covert supports of the flourishing underground Neftenya secret groups, core undercover Neftenyaa elements in OPDO, remnants of the defunct EPRP now regrouped as G-7, the Prime Minister’s Office, and Oromo traitors who, wittingly or unwittingly serve Amhara interests in the name of “Ethiopiawinet”?? The list of questions that are easier to ask than to answer are too numerous to narrate here. WHAT NEXT? There seems to be a strong consensus among the Oromo nationalist camp that WBO should be rendered all-round support to help it defeat the concerted war of extermination OPDO is waging against it in close collaboration with Neo-nefxanya forces. What meaningful role can the Oromo in Diaspora play under the circumstances? I will address this question in a very near future. BALAA KEESA JIRRU KANA’RRAA WAL HABARAARRU!! !